Spring is in the air! And as the flowers start to bloom and the world is filled with colors, I start to see GREEN! Because I always want to do little things in the Spring that cost money – like getting a fabulous new outfit, or fixing up the front yard. Soooo, I thought it would be great to give you a way to get a little Spring Surprise for yourself! 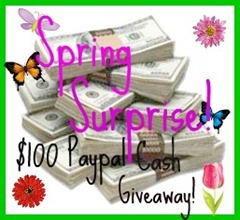 I teamed up with some of my great bloggy friends and we want to give YOU $100 in Paypal cash to spend any way you want! That fab new dress? Flowers for the front yard? A day at the spa? The possibilities are endless! But only if you enter to win this Spring Surprise! So, here’s how it works. Entry is super easy thanks to Rafflecopter! You simply have to answer a question – What would you do with this awesome Spring Surprise? That’s it – you’re entered! But wait! Since I’m sure you want even better chances of winning (it’s 100 bucks! ), you can earn extra entries in several ways. 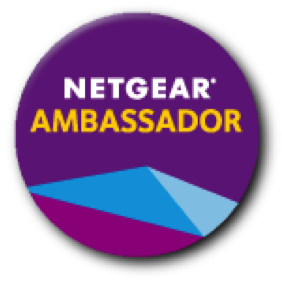 You can like the sponsoring blogs facebook pages, follow them on twitter, add them to your circles on Google+ or enter other contest and leave comments on great posts! How much or how little you do is up to you! But remember, the more entries you complete, the better your chances are to win! So are you ready? Do you know what you’ll spend your Spring Surprise on? Then enter away! 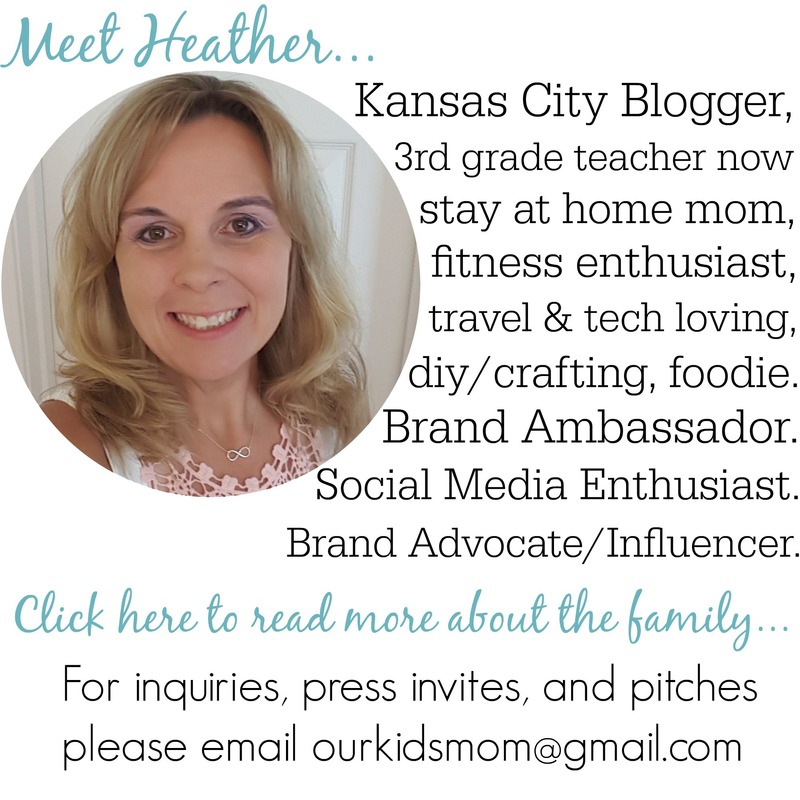 The Adventures of J-Man and MillerBug, Our Kids Mom, Book R Us, Musings from a Stay at Home Mom, Misadventures with Andi, Simple Savings for ATL Moms, Dallas Single Mom, Mompreneur Mogul, Mom Blogger Buzz and (Aspiring) Domestic Goddess Mommy! I’d spend it on my vacation! I’d spend it on new spring fashions. I would get some new shoes. Thanks for a great giveaway! I will use the money to pay for my daughter’s birthday this spring. I would spend it on some new spring clothes! i would put it towards my school books for college this summer. I would get a new haircut! by buying some spring clothes and sandals! I would be putting this towards the new bed we need! I would by Flowers for my back patio! I would use it to by my kids some summer clothes! I would use the $100 to buy some new clothes for my kids and some new baby clothes for our new addition that is due in August. What a great giveaway. I would use the money on a gift for my mom’s upcoming birthday. On shoes for my wedding and batchlorette party! I would use the spring surprise cash to take the kids to a new indoor playground on a rainy day – they have rock climbing wall, bouncy bounces, a spider climbing thing with slides and laser tag. My son is graduating from college in May and my daughter is graduating from high school in June. So there will be MANY ways to spend the cash!! I would go get a massage. My body has been feeling the effects of roller derby lately and I would love a massage. I would put some of it toward buying flowers to plant in my yard. The rest would go toward vet bills from my new kitty I adopted from the shelter. I think I would put it toward items needed for another ski vacation for our family!!! Living in the south we don’t see much snow but my kids love skiing and my oldest has grown out of her bibs and jacket! I would buy my kids some spring and summer clothes…. I would havce no problem finding a way to spend this money! I would buy a few mew outfits to wear on job interviews! Thanks for this giveaway! It will go towards spring/summer clothes for the kids…. Thanks! I think I would use it for a massage. Treat myself before my wedding. I would spend it on myself which is much needed. I would use the money to buy my boys something nice for Easter. I would put it in my new computer fund! I’d spend it on a fun road trip to hike in the mountains. We would do something fun for Spring Break! Buy a stroller I’ve been saving for. It would go towards a new dishwasher. This would help in fixing up the yard! We’re paying off a huge amount of debt, so this would be $100 more I no longer owed! I would take my family to the waterpark and lunch! I will save it and put it towards our vacation when my husband comes home from Afghanistan! I would use it to help with getting for a trip. I have never heard of cowpeas. I haven’t had y hair done in 20 years, or a manicure. Would love a pamper day. I would get a new camera lens. i would get some more baby clothes. thanks! SAve iT !!! SAve iT !!! SAve iT !!! My son is graduating from college in May and my daughter is graduating from high school in June. So I would probably put the money towards a party for them. i would save it for our disney cruise coming up this July. :] thanks for the opportunity! would spend it on a new phone since mine is acting up…. I would save it to put towards buying my husband an iPod for his birthday this summer. Project new master bath could always use some funds. I’ll help my son pay his college tuition. I would spend the $100 on the upcoming birthdays for my kids. This is nice. Thanks for the info. Easy…I have two grandkids birthdays, my husband and son, and one son in law to be with birthdays also in the Spring, so the Spring Surprise would be gifts for them! Books, headphones, a turkey decoy and wine.. love paypal cuz Id need to shop several stores! thankyou! I would either buy my son some clothes for summer or use it when we go to Dollywood. We have season passes.. I would spend it on groceries and hopefully have a little leftover to get a little something for my sweet husband as a surprise. Thanks for the chance. Hoping so very much to win. I would get the kids some spring/summer clothes! I need a new spring wardrobe. I would spend it on clothes. I would save it for our vacation this summer! Amazing giveaway! Thank you so much for this opportunity! I’D LIKE TO GET SOME NEW CLOTHING THAT ACTUALLY FITS! 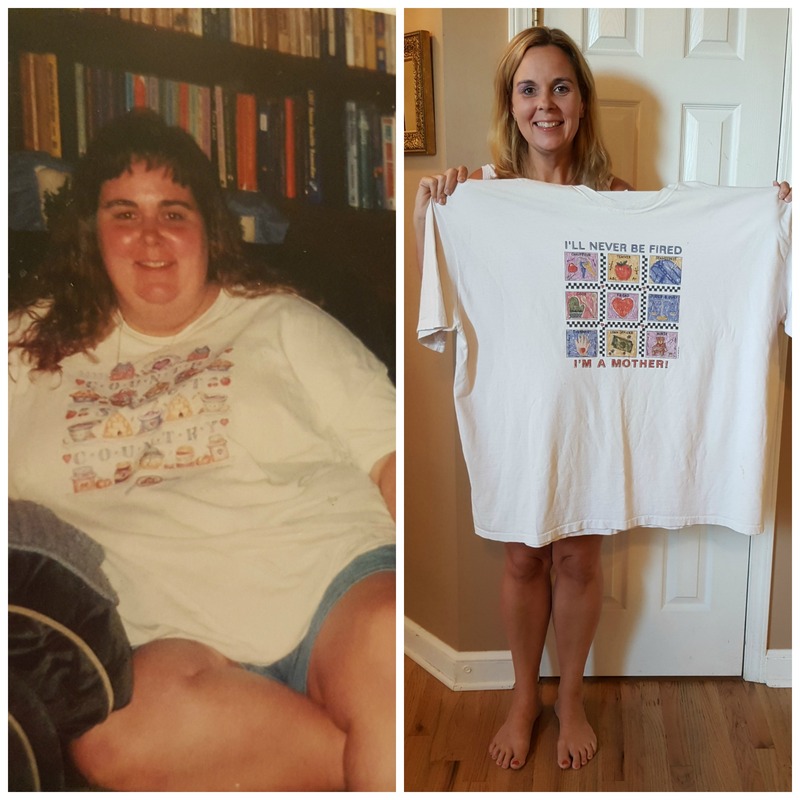 I RECENTLY LOST SOME WEIGHT – YAY ME !!! I would use it to buy computer components! Thanks Heather! I’d spend it on our new puppies. my daughter and i both could really use new shoes, (tennis shoes) so this is what we would get, if we dont have to use it for groceries or gas. that has to come first! I would use this towards a new pair of running shoes! I will use it to spruce up my garden. Thanks for the giveaway. I would buy some clothes for my grandson. I need to pay off some bills. Would love to decorate my house. Thanks for the giveaways! I’d use it to pay off some bills. Wa, wah, waaaaaaaaaaaah…not very interesting! I would put my spring surprise toward a new bed for my boyfriend and I.
I’d put it toward school books, just went back to college. If I win think I will spend on my grandbabies. I would use the money to go see my grand kids for a few days. I would spend my spring surprise buying decor for my dorm room. I’ve been saving for a new camera lens! Thanks for the chance to win! I would use the awesome spring surprise for: 3/4 save it and 1/4 towards some happy, spring fun! Thank you for the chance! My daughter just moved into her 1st apartment so she needs lots! I would have fun shopping for supplies for her! I really need curtains in our new home. I’m saving up for some new furniture. I would spend it on things for my little boy. He needs new clothes. Buying things for around the house in the summer. Buying baby stuff for my baby boy due in July! I will give it as a birthday gift…. I would do a spa day! It will go into savings! Thanks for the giveaway! I would put it towards a new pool. I’d pay off my sister and the awesome person who helped me pay for my website template! I’ll spend my spring surprise on a nice dinner out with my family! I would spend it on Easter gifts! I would put this towards a new computer. I will pay a bill with it. Pretty boring here… I’d buy gas and groceries, but I might splurge on an awesome shrimp for dinner! It would go toward the vacation fund! Put it towards paying off my cc debt. I’d spend it on a fun family outing day. I would buy some new summer clothes for the kids & me! Saving up for a Kindle 🙂 Pay a bill with the paypal…. send money to amazon lol. I will spend it on remodeling my daughters bedroom. I would use this to purchase some of the cool cloth diapers that I see and maybe somethings for my older two as well. I would use it towards purchasing a new Dyson! I’ll take my family out to dinner, then put the rest toward bills. Mass Effect 3, we all love the series. I would spend it on camping stuff! I’d use it toward our next RV trip in April. I’d give it to my father, Thanks for the awesome opportunity! Buy a few things for my summer ward robe, including a new swimsuit! I would love to use it to buy something for the yard for the whole family to use. Encourage us to get outside more. Spend it on birthday gifts. If I win, I would buy new hair clippers for my dogs! New summer clothes for my son he outgrew everything this past year. I would spend it by buying some new spring clothes! I lost some weight this year and I need some new clothing items! it would be used towards bills. I have been out of work for about a month and am getting behind. I would use it to buy some new clothes. I would buy my boys some new clothes. If I won I would buy cloth diapers for my little one on the way in June! will work toward paying down some debt! I would use the money to buy the Magic Bullet my wife wants plus a little eBay spening spree! I have been saving to get my daughter a leap pad so I would spend some of it on that! I would use it for a gift for Mother’s day. On new toys for my sweetie! I need some summer clothes. $100 would certainly help. I would use my surprise when I’m o vacation in May! I’d use it for vacation! I would use it to buy myself a new phone. The one I have is 4yrs old & is not a smart phone & is barely working for the last 4 months. Can’t afford to get a new one though on 1 income with 3 mouths. This would be great! Thanks! I would put the money in our Disney fund! I’d use the $100 to get a new spring jacket — thanks! If I were lucky enough to win, I would take my family out for a nice dinner and a movie. The last few baby items I “need”! I would buy a BBQ grill. Spring CARE packages for several soldiers is what I’d spend it on.I’m a member of Soldiers Angels, and I have an “adoptee” who want’s international phone cards so he can call home, due for “mailstop” some time in June. I would use it to buy a wireless modem for all of our electronics and also replace my husbands wedding ring that he just lost a few weeks ago while working on the car. I have wanted an iPad for 3 years and this is the year that I have decided to splurge on myself. I would use it towards the purchase of an iPad3. We always put ourselves last as moms! I’d probably use most of it on bills (gas alone has gotten so expensive), but I’d use a little to get a new book or two. I would splurge & buy something fun for a change since it would be “found” money!!! I would go buy my babies some summer cloths!! Thanks for the giveaway…buying clothes for my daughter !